Fully aware of the almost impossible task she has undertaken, Mrs. Norton has tried to solve the problem by giving the poems literally, without regard for their form. She has placed the original German on opposite pages, in the hope that the reader may find the form for himself. This method has much to recommend it; the translator promises to keep in a subordinate place. But it can fail in suggestiveness. Mrs. Norton often fails because she has no working knowledge of the turns proper to verse in all languages. At their worst, her translations are awkward and thin: the properly weighted word is not chosen and the sensitive tradition not made. She must continually, it is true, split up and make a choice between precise meaning and feasible sound, which, in the German, are indissolubly fused in the poet’s word or phrase. The chief fault that the reader familiar with Rilke’s work will find with Mrs. Norton’s collection is on the ground of herselection. And one need not be a fanatical devotee of the Rilke legend to feel that any presentation of the poet’s work must follow some account of his life. Rilke, like Yeats, lived a poet’s life from youth on. His search was “always for an answer to the question ‘How can we exist in the face of our inadequacies in life, death and love?’” This search, after his early mystical Schwërmerci, was deliberately planned. Critics have been struck by the lack, in Rilke, of “ordinary human (as opposed to an artistic) sense of ethical responsibility.” He avoided close human relationships. He believed firmly in himself as an instrument upon which power greater than himself could play. He spent years of solitude waiting for intimation of power to be given him. This earnestness has been interpreted, by his less friendly commentators, as the feeble drifting of the esthete. But one need only look at his poetry to know how well he knew his vocation. “L’oeuvre d’art... a besoin de temps et de silence,” Rilke once said, and he was speaking from experience. Of these “Neue Gedichte,” which comprise one hundred and seventy-five poems, Mrs. Norton has translated eighteen. From the more immature “Das Buch der Bilder”—where Rilke began to break away from the poem describing “Moi en Avril, en automne, le soir… en presence des jeunes filles, dans l’angoisse, etc.”—she has translated proportionately more. The best volume of selected poems, in German, chosen by the wifeof Rilke’s publisher, includes only seven early poems, in a book of sixty-one selections. And Mrs. Norton has not included any examples of the last lyrics, supremely beautiful and profoundly Rilkean. 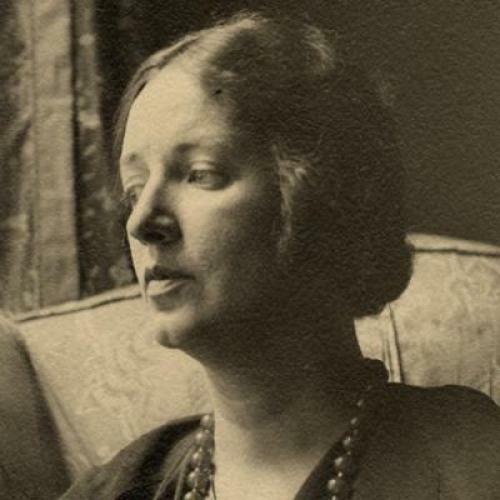 She gives the “Marien-Leben” complete, without providing Rilke’s previous reworking of Old Testament and Greek myths, so that this cycle does not link up with a solid body of Rilkean reinterpretation, as it should. But the German stands on the page, and can be examined. Anyone who possesses the inexplicable taste for great verse will recognize what is here, and be grateful for some aid toward further studies. For no matter how the Rilke cult may enlarge, the lover of poetry will agree with E. C. Mason, who says: “The growing tendency to elucidate and systematize the ideas in Rilke’s work … involves the dangerof neglecting its sheer poetic quality, which is, after all, what draws everybody to it.” A poet’s worth does not ultimately depend upon the nature of his “thinking,” but upon the sensitiveness of his nature, the greatness of his heart and powers of endurance, and the beauty of his words.